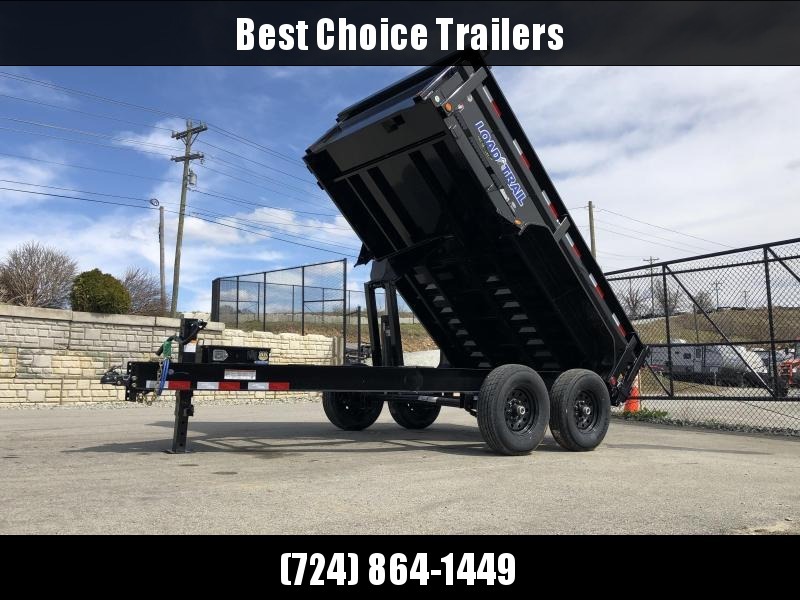 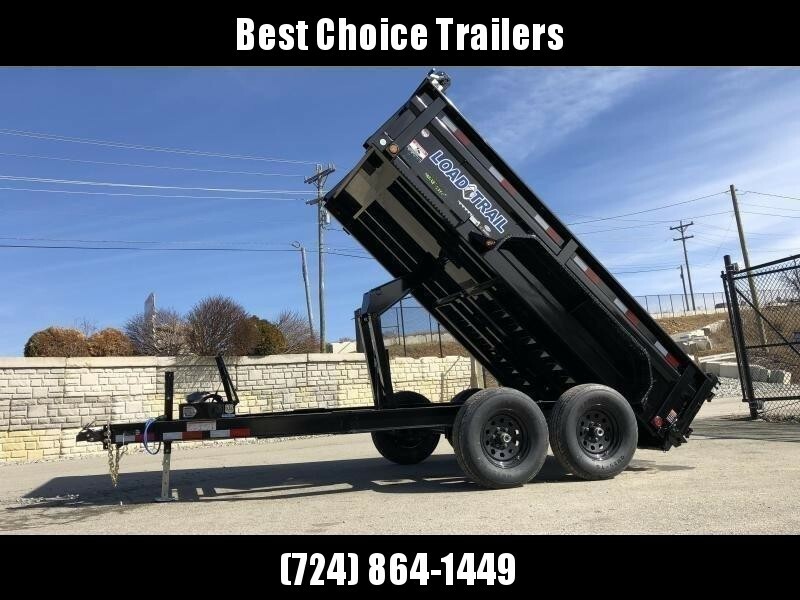 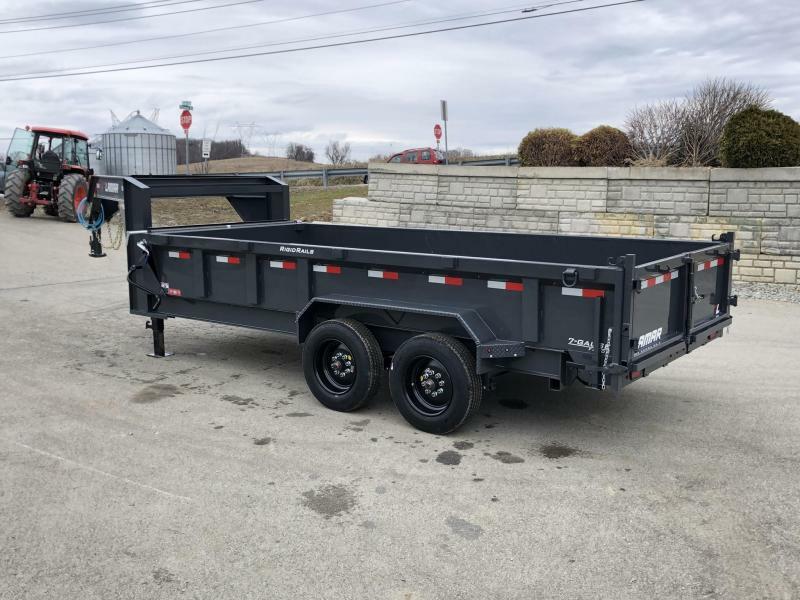 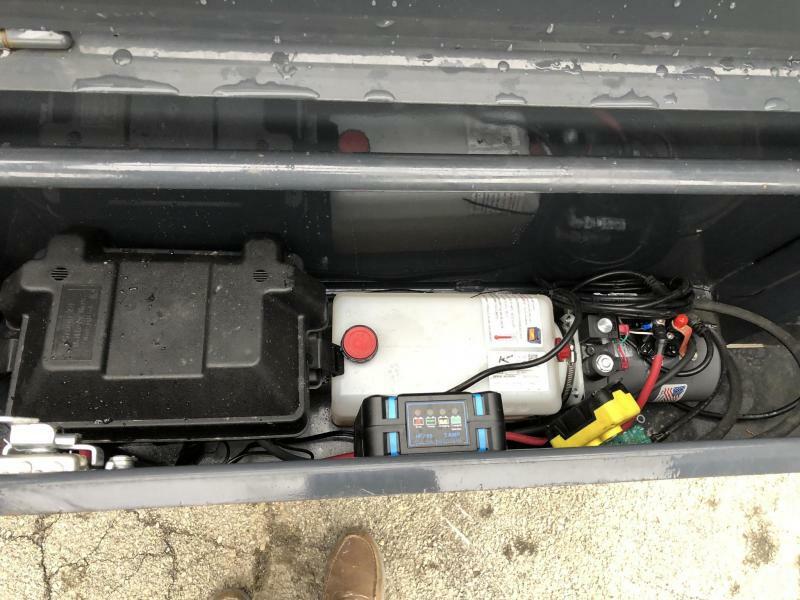 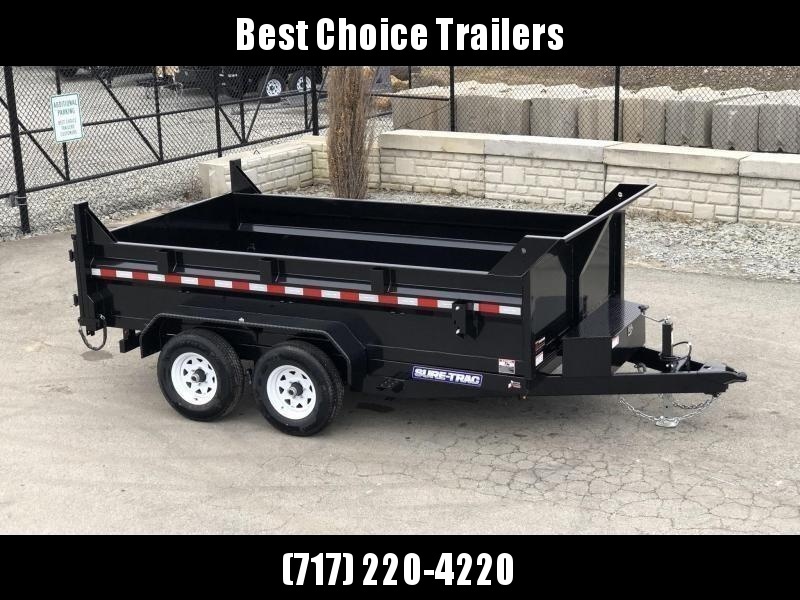 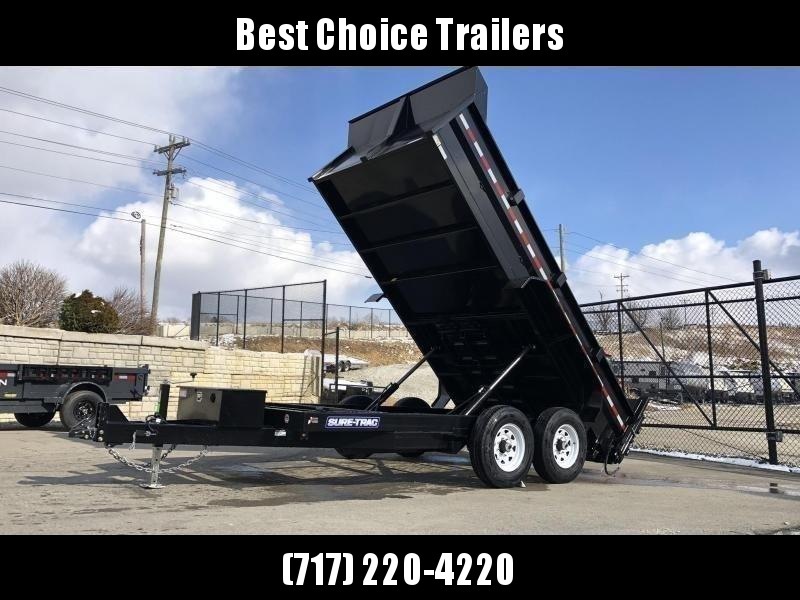 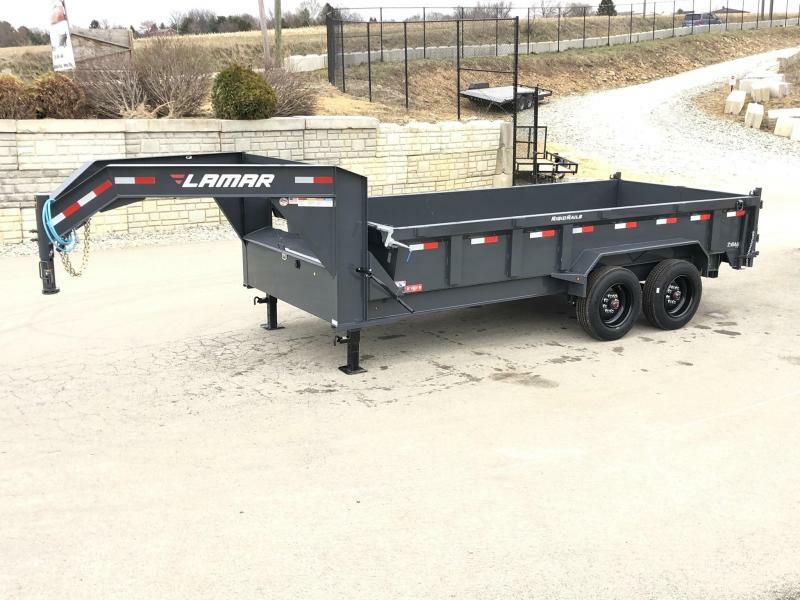 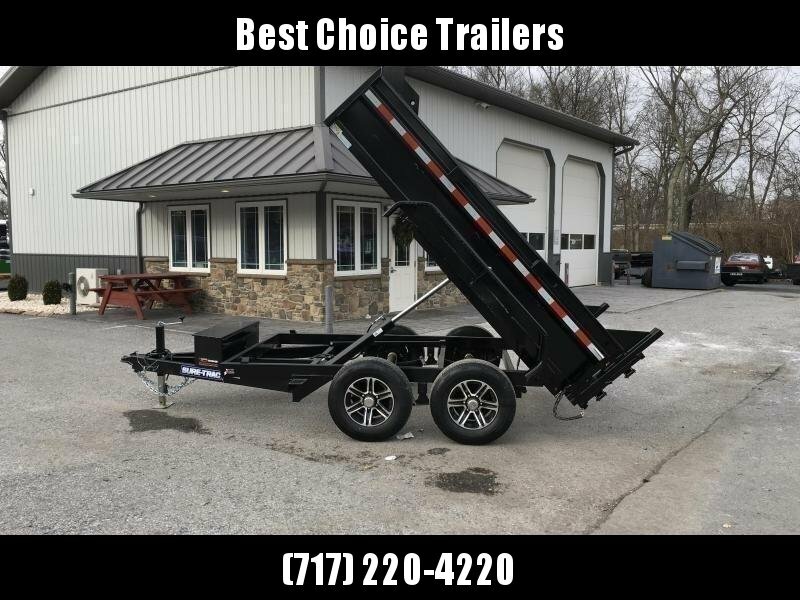 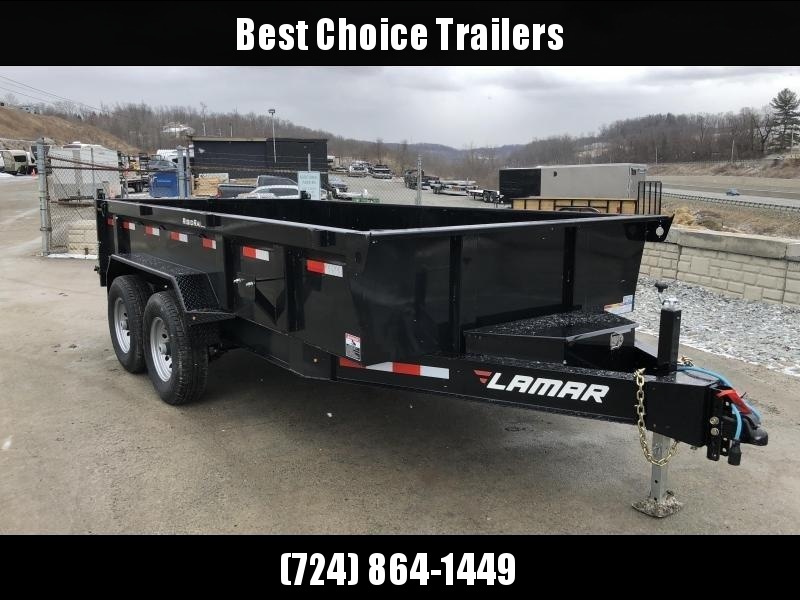 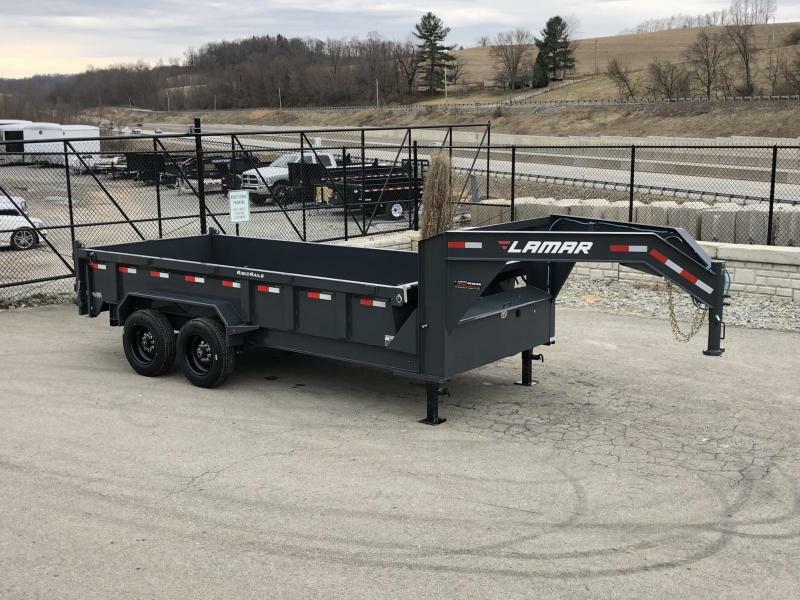 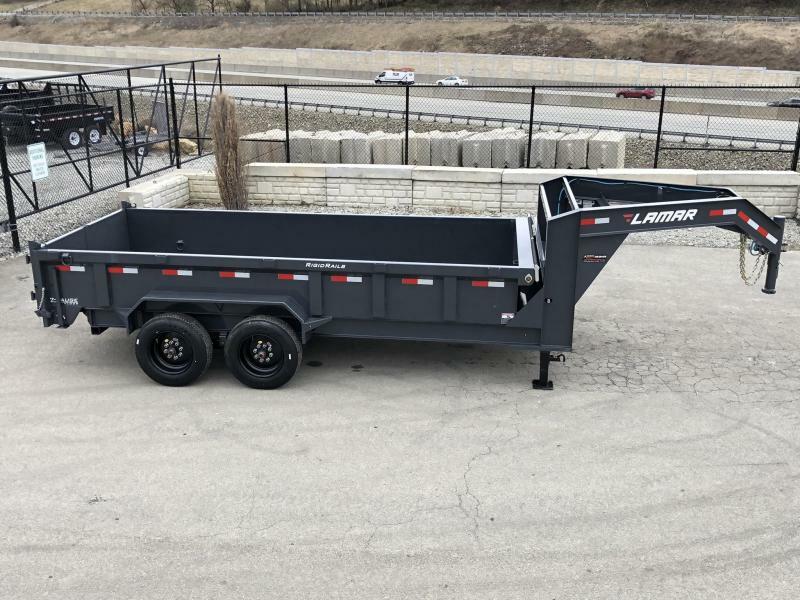 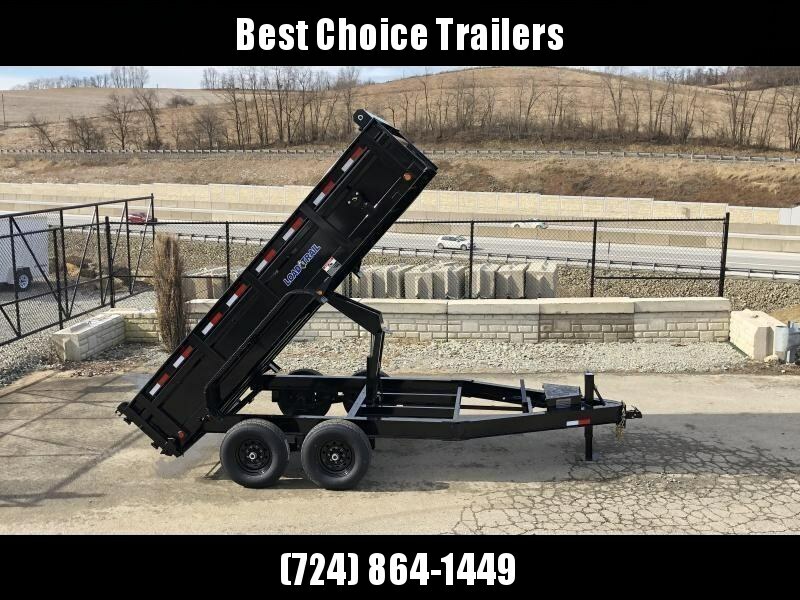 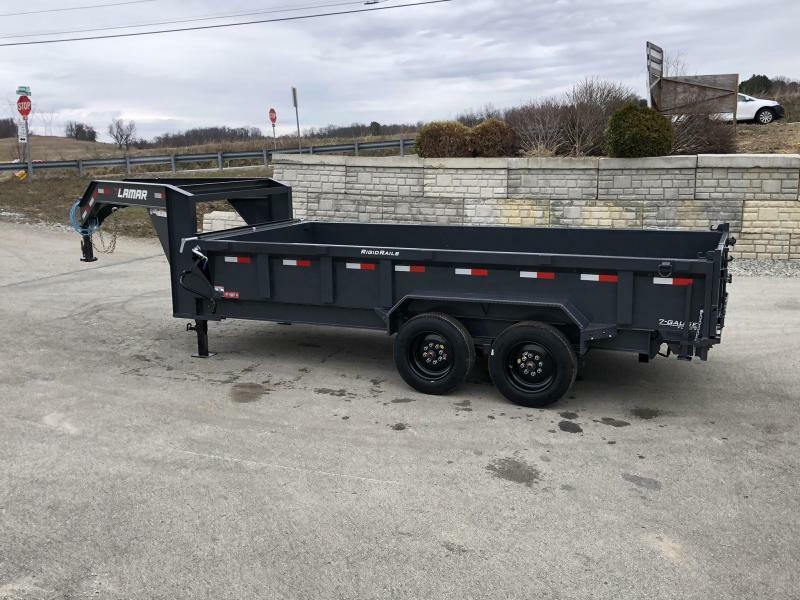 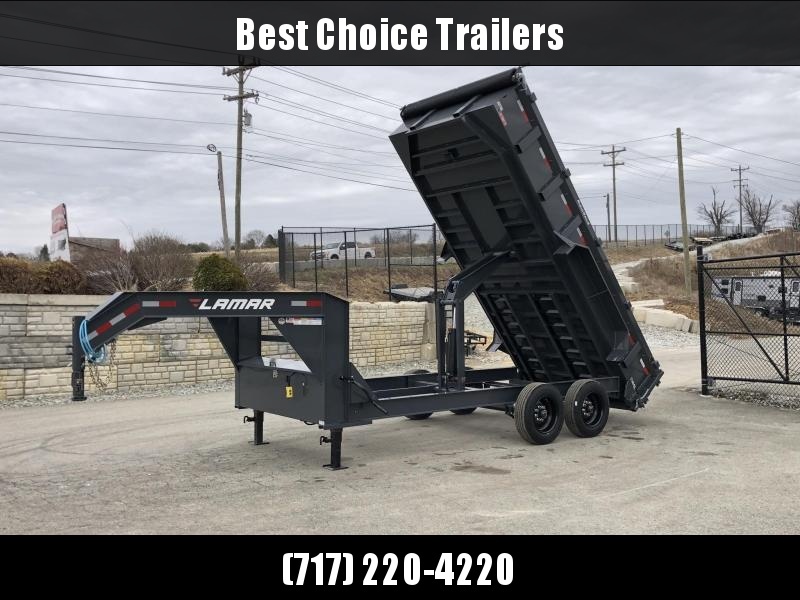 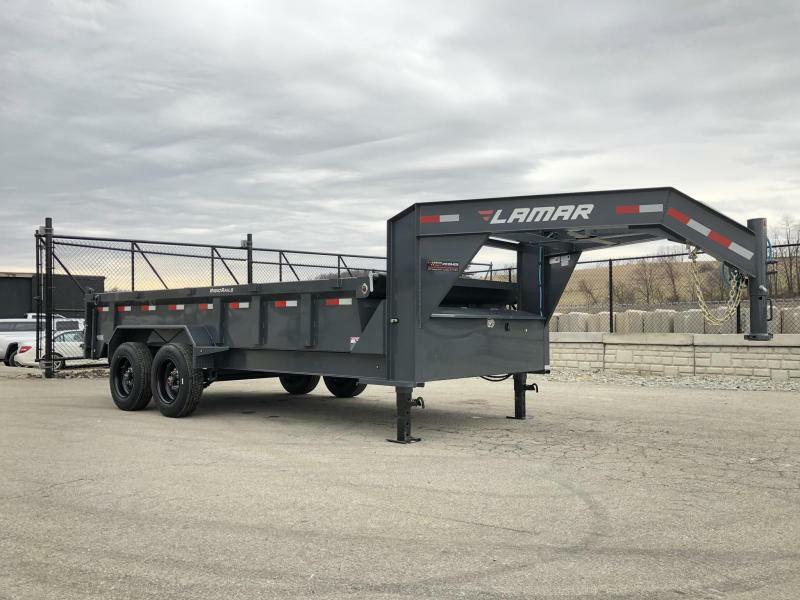 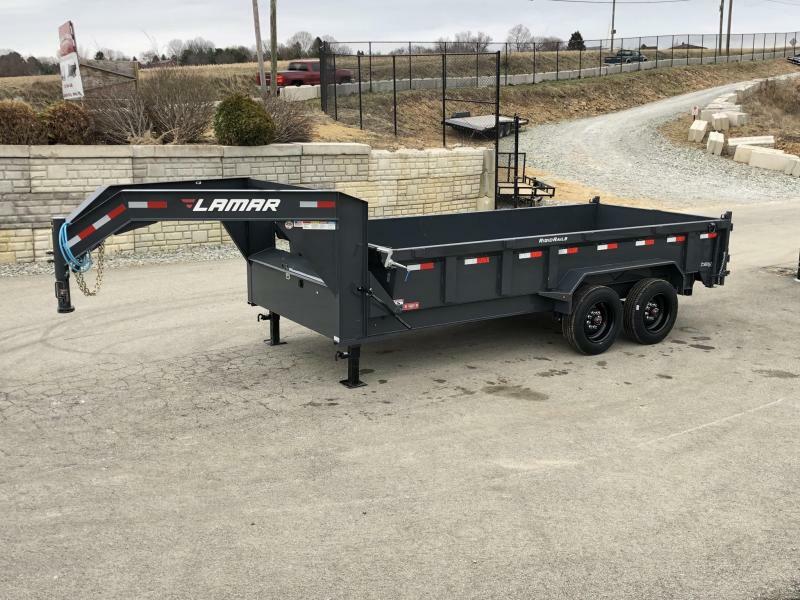 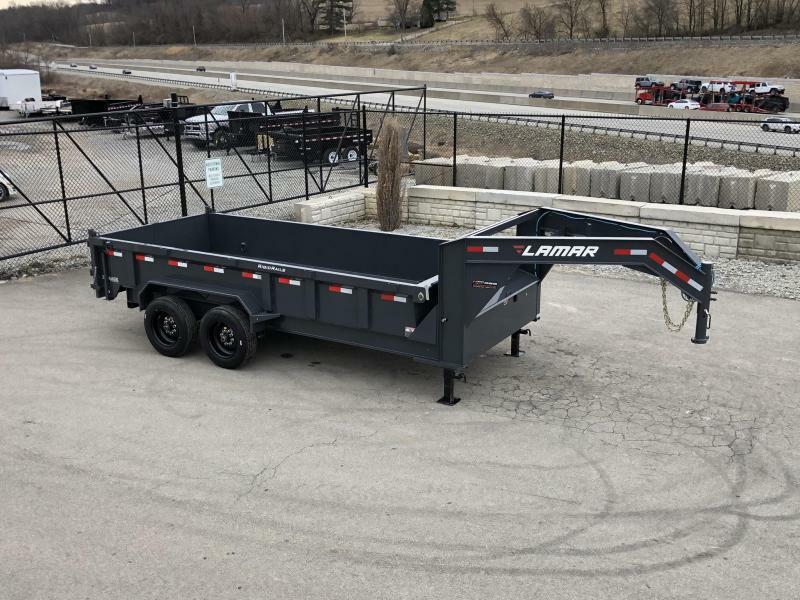 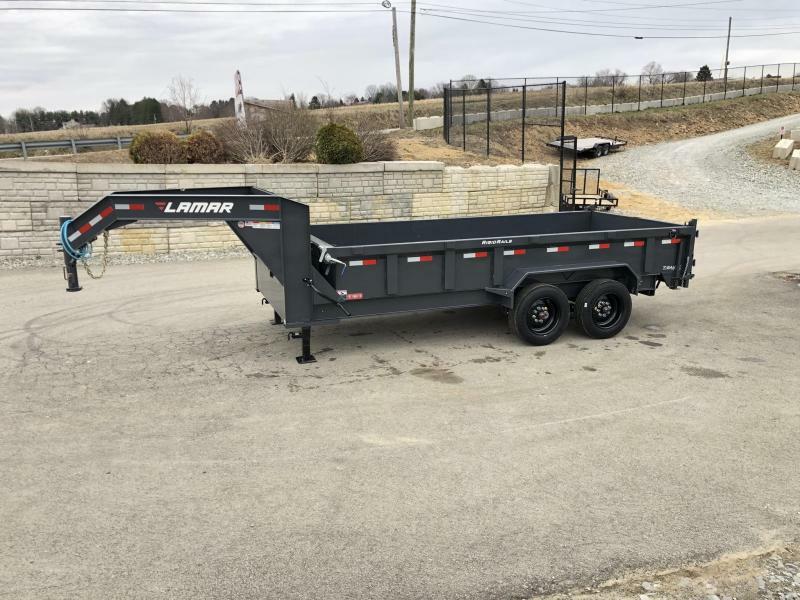 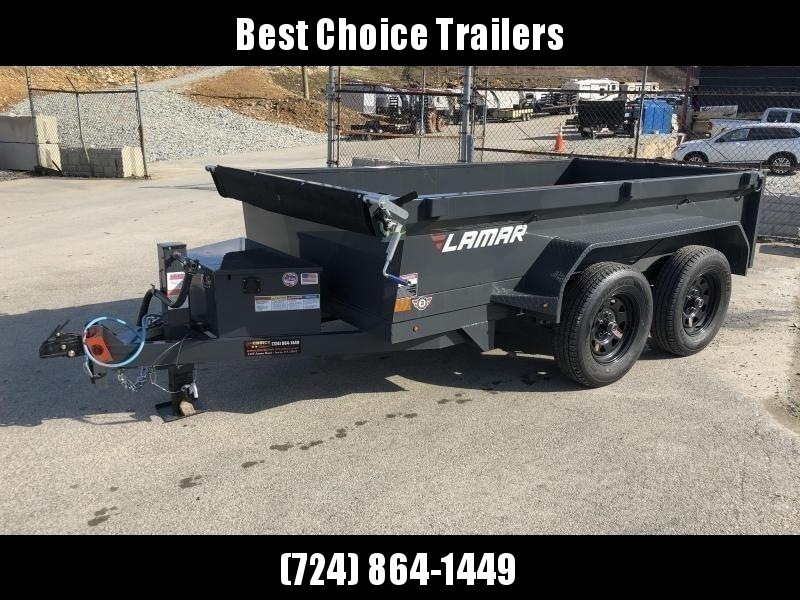 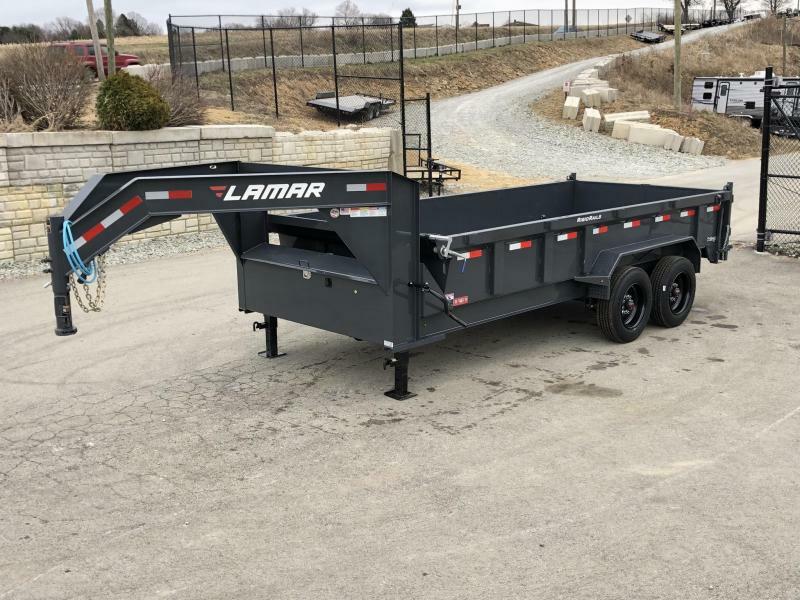 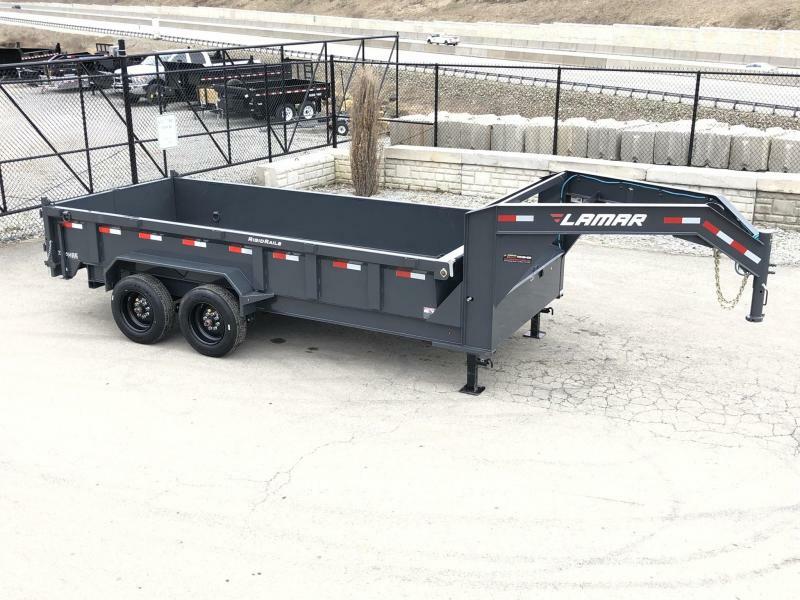 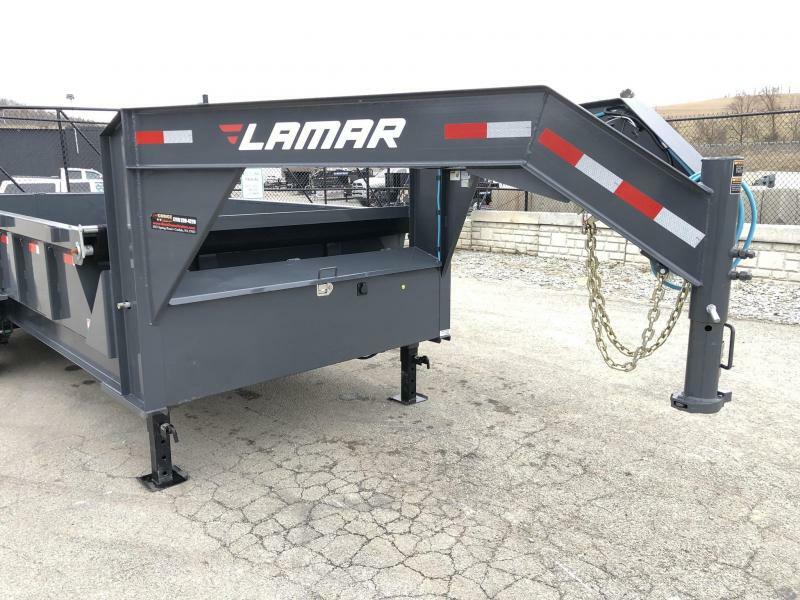 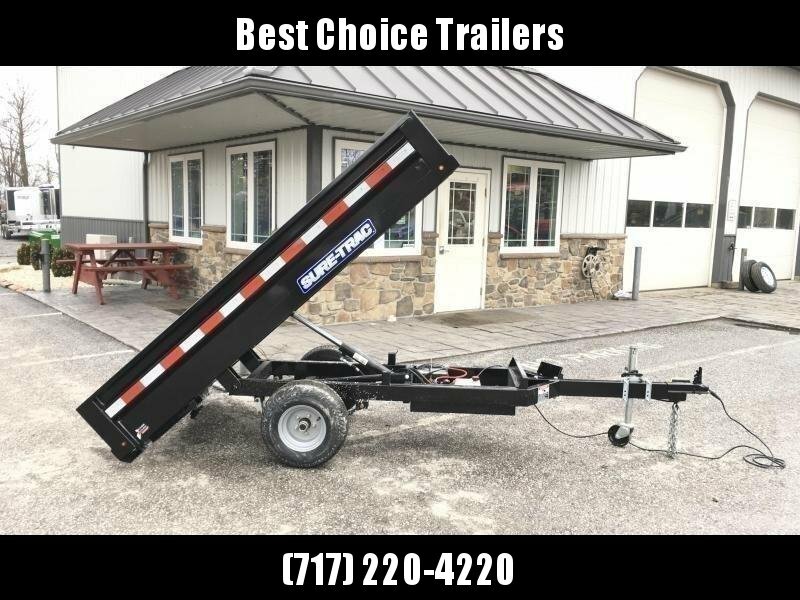 THIS IS A LOADED HEAVY DUTY DUMP TRAILER THAT IS A GREAT HYBRID BETWEEN A TYPICAL 14K DUMP, AND SOMETHING A LITTLE LESS (EXPENSE AND WEIGHT) THAN A DUAL TANDEM. 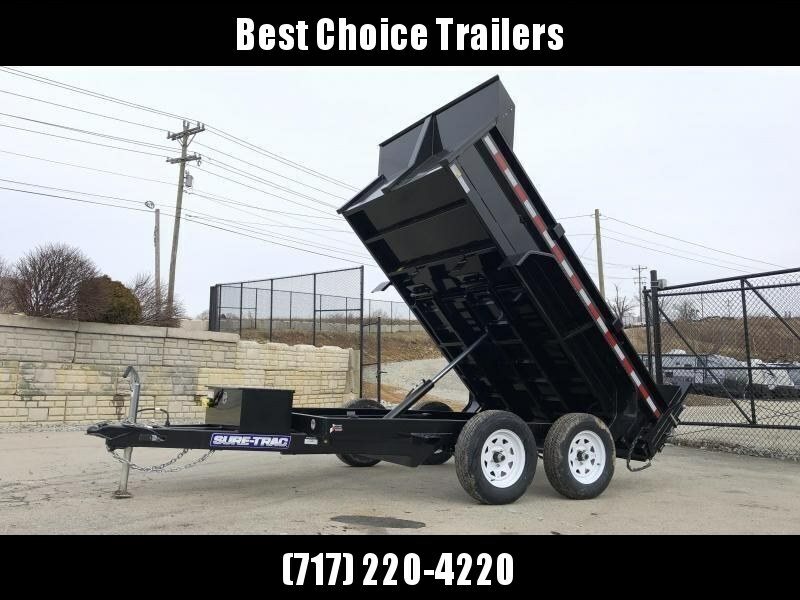 IT'S A GREAT AND RARE "TWEENER" MODEL THAT FITS PERFECTLY BETWEEN THOSE 2 MODELS. 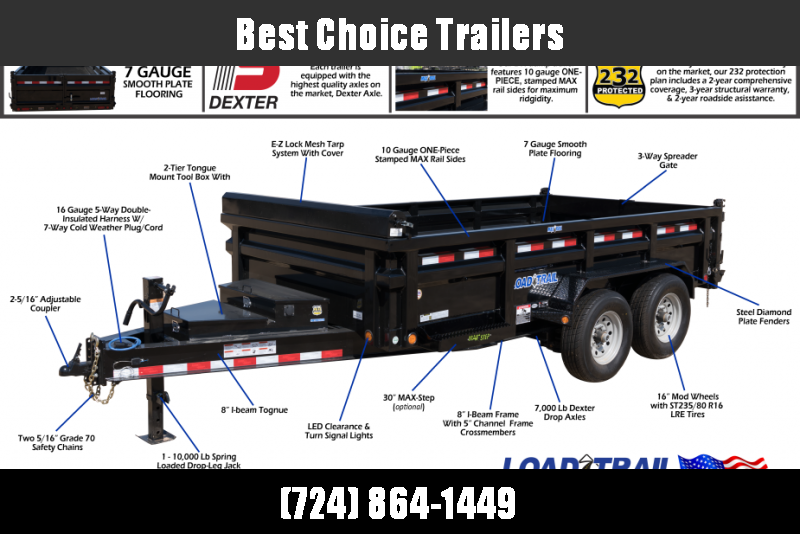 YOU GET THE HOIST/FRAME/FLOOR GAUGE/RUBBER/BRAKES OF A DUAL TANDEM, WITHOUT ALL THE ADDED WEIGHT/HIGHER COST/HIGHER DECK HEIGHT, ETC. 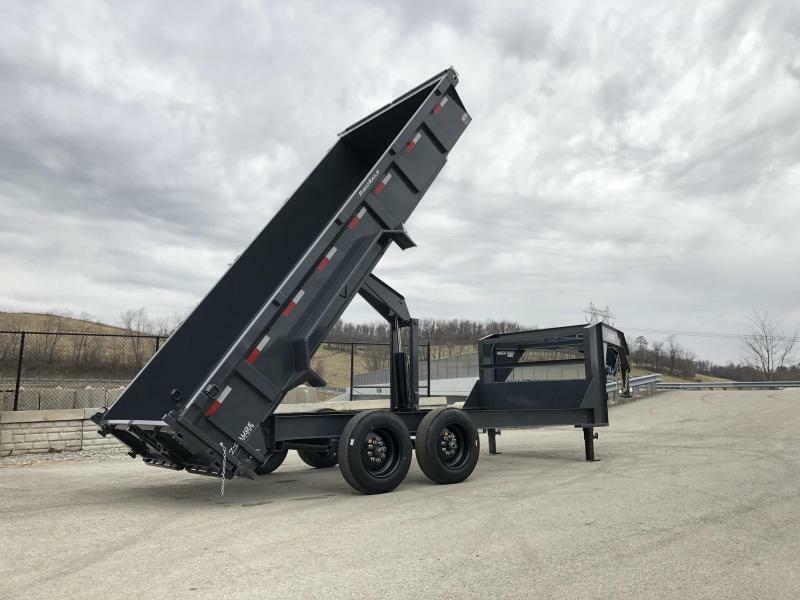 AS THIS UNIT JUST CAME IN AND HAS NOT HAD PICTURES YET, WE'VE POSTED STOCK PICTURES OF THE EXACT SAME UNIT IN A 16' GN 14K (LOOKS NEARLY IDENTICAL EXCEPT FOR RUNNING GEAR AND HOIST), AND A 16' BUMPER PULL 16K (HAS SAME RUNNING GEAR AND HOIST). 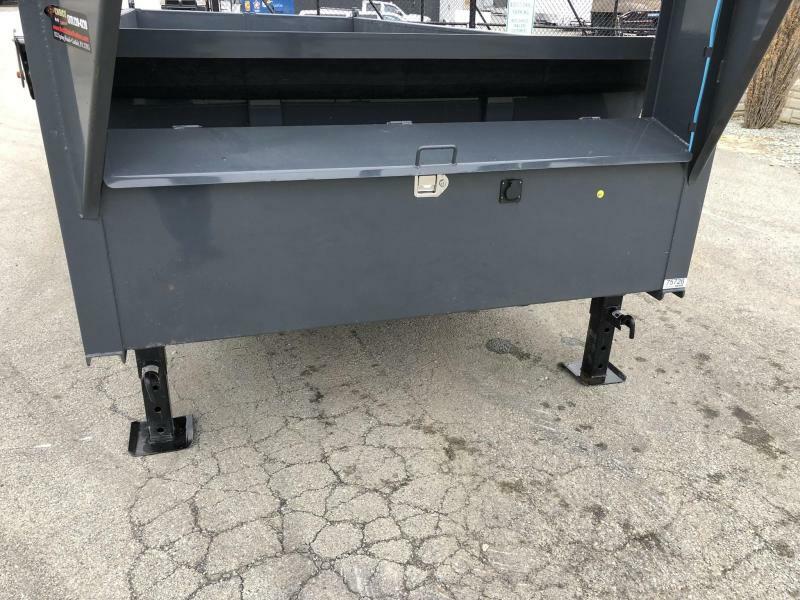 PICTURES WILL BE UPDATED SHORTLY. 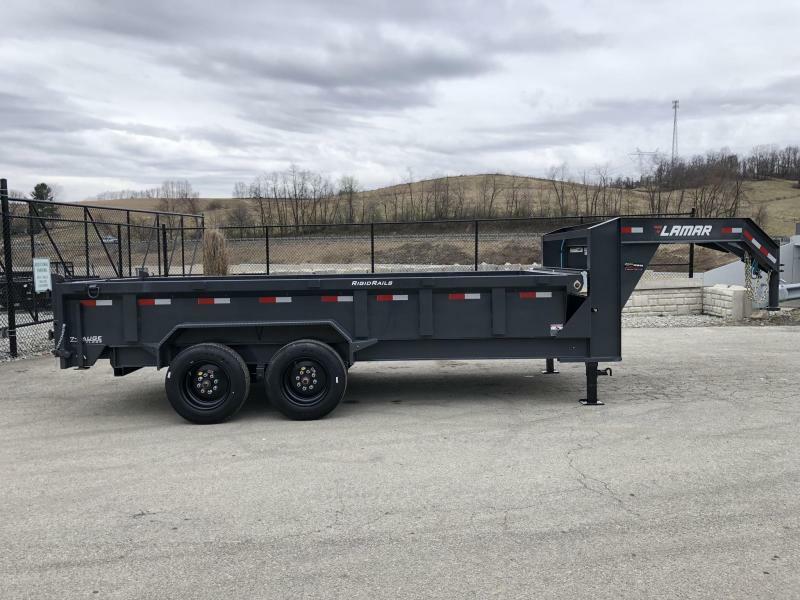 UNIT IS EQUIPPED WITH 17.5" RUBBER, 8K AXLE UPGRADE, TARP KIT, 17.5" RUBBER, SPARE, OIL BATH, DUAL JACKS, REAR JACKSTANDS, VOLTMETER, AND MORE.